Everyday responses of the visual artist Julian Peña's experiences in art, culture, society, academics and life. Reply2Julian is an invite into my world as a visual artist/art student. Here you can read posts on art research I've conducted, other artists' works, my works, professional information and credentials for myself, art events/ art business, art history, and many other things related to my profession and field of fine art. In an effort to build a better web presence for my art business, I searched my name under Google (don’t we all out of curiosity’s sake lol?). Among common searches about my previous solo show at The Mix in Tacoma, WA called CMYK, I came across my credits (and my partner’s) on the Downtown Block Party page. Though it is nothing spectaculer to post about, I wanted to look back at that experience. We helped out on the painting of the street mural on wooden plywood so the community can paint and contribute to the overall mural. 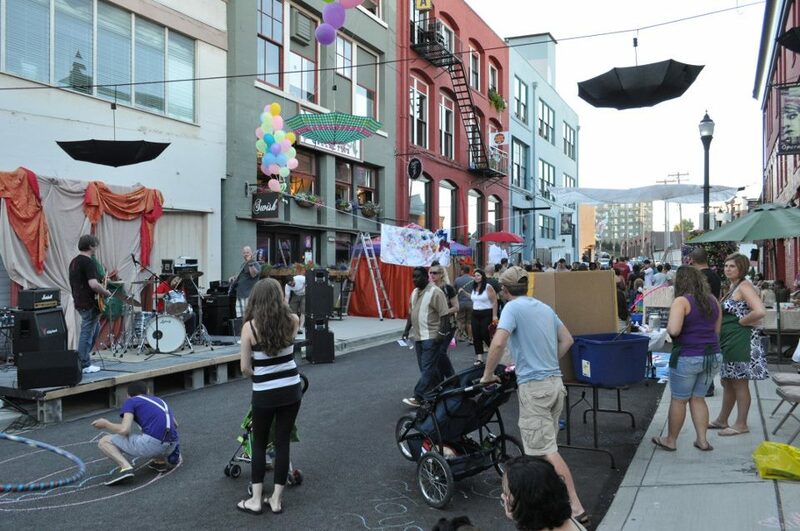 It was a great idea and very engaging (community-wise, which was what the Downtown Block Party was all about). It was a fun experience and already excited for next year’s downtown Block Party. 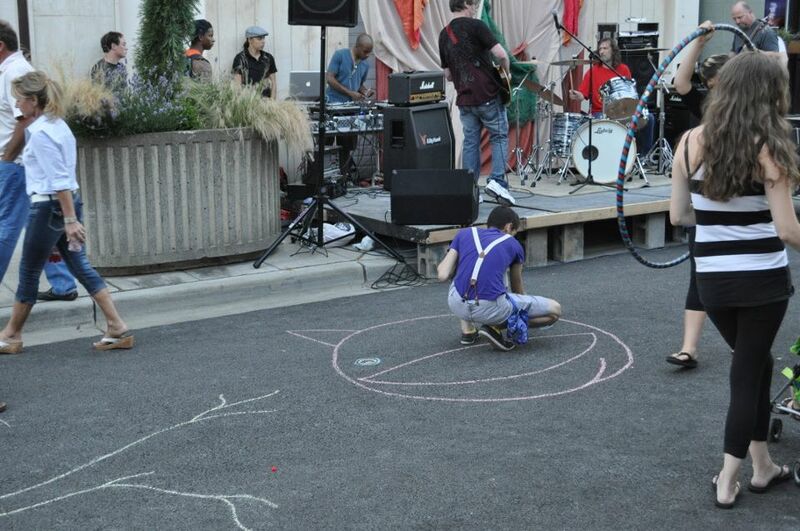 The Mix provided the beer garden (a wonderful gay-friendly bar in downtown Tacoma). I painted many children’s faces with acrylic paint. Anything from flowers to smiley faces to animals. Overall, it was very refreshing to see the community get together and support the arts and local businesses. 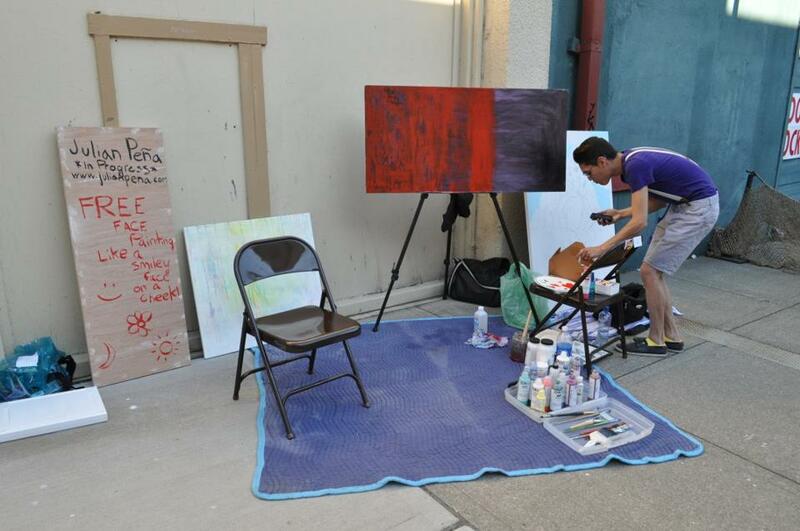 Downtown Tacoma Block Party: My live painting booth. I'm a visual artist and student currently in progress to attaining a Bachelors of Fine Arts. I've been creating fantastical works of art since I was at the age of 13 years old. My work is transcendent beyond the material world and life itself. The paintings are polychromatic and visually exciting, while still maintaining a level of harmony. The subjects in many of these works of art may not exist at all despite what we perceive. It is a play on perception, an attempt to engage the viewers. I has earned numerous scholarships, participated in several group exhibitions, and already organized my own solo exhibition (CMYK, 2011). My meticulous and unique style is visually arresting. New ideas are constantly being examined and then visually communicated. Come check out my works at www.julianpena.com! I am is also currently part of the 253 Collective (a co-op) in downtown Tacoma. I currently live and work out of my loft in downtown Tacoma, WA.